Some of the best trips you take are the ones that were to a random place, had the least amount of planning and exceeded your expectations. My trip to Traverse City, Michigan was exactly that. A few weekends ago we decided to take a short one night trip to upper Michigan to get away from our day to day life and enjoy some time together with R. I had heard about Traverse City through a friend and after googling it and seeing few photos I booked us an Airbnb. With no general plan except where we were staying the night, we headed up north to Midwest’s number one small town to visit. 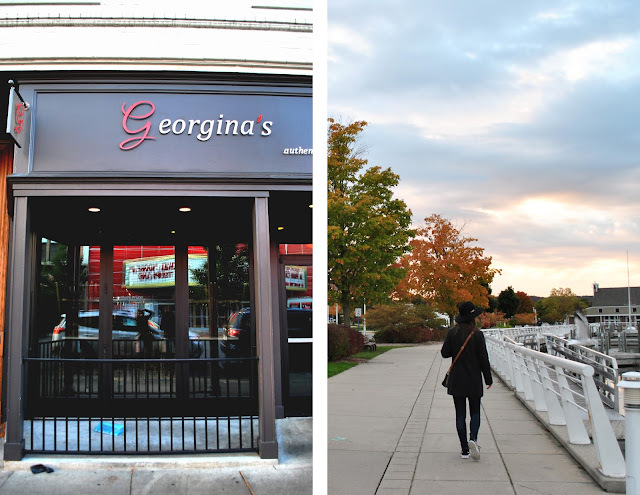 The drive from Chicago is about four to five hours along the main highways and tollways, far enough away but close enough in distance for a weekend away. Most nights I get home from work around 6 30pm so there was no way we were going to drive up Friday night after work. Instead we woke up earlier than usual for a Saturday, packed the car and got on the road. The autumn leaves had begun to change making for a colorful trip and scenery that reminded me of New England in the fall. A little after lunchtime we arrived at our Airbnb, a guest house attached to the main house and just a few blocks from the historic center of Traverse City. Our Airbnb host had bikes prepared for us in the backyard, a perfect way to get around town. Even though it was late October we had weather in the mid 50’s F / around 13 C with the sun shining. Having been in the car for a few hours we were both hungry so we got our bikes and rode to the center of town in search for food. We ended up at Grand Traverse Pie Company, a Michigan bakery offering the most delicious pies and baked goods. I ordered the beef pot pie with Italian Wedding soup and R had chicken pot pie with a slice of apple pie for dessert It was the perfect first meal of our trip and the pies were delicious. Because Traverse City is a touristy town you can find a map of the area in almost every restaurant or store. We loosely used the map to navigate around but decided it would be more fun to spontaneous bike around and see what we would find. The Boardman River curves through town and you can walk along the boardwalk in most spots. We found a few picturesque spots and walked along the water’s edge. 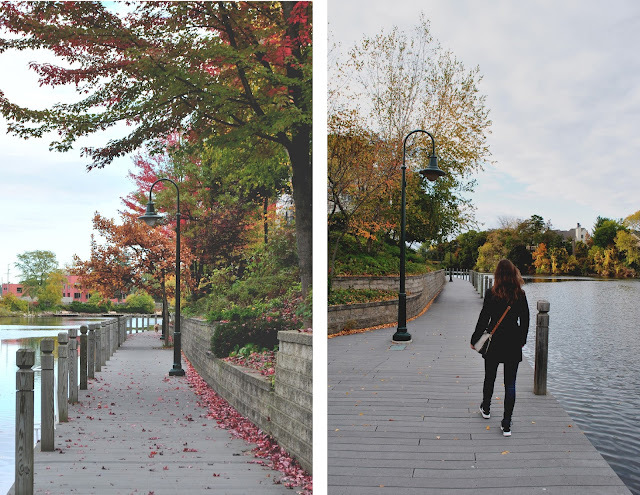 The crisp fall air was refreshing to breath in, a detox from the Chicago city air. We had seen on the map there was a microbrewery that we hoped to find while biking, and with luck we did. 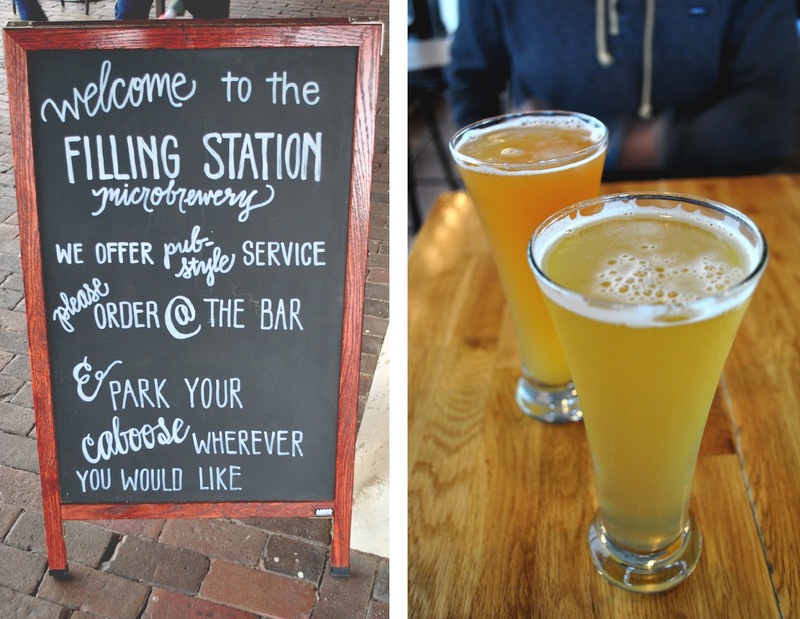 Most of the town was quiet and empty but the Filling Station Micro Brewery was full of people drinking and enjoying each other’s company. We ordered our beers at the bar and sat down as the sun began to slowly set. I wanted to see the sun set over the lake so we finished our beers and made a quick stop at our guest house to grab our jackets. The sunset was beautiful to capture and allowed for me to play around with my camera and photography skills. I have been hoping to advance my knowledge of my camera, especially when it comes to using the manual options. Watching the sun set over the colorful treetop covered hills, I was filled with happiness that I had chosen to take this mini adventure. Once the sun set it definitely dropped a few degrees and felt like a cool autumn evening. Headed back to Chicago we decided to take a different route than the one we took coming up north. Side roads along the western edge of Michigan take you through the small towns along the coast and allowed for us to see more colorful foliage. 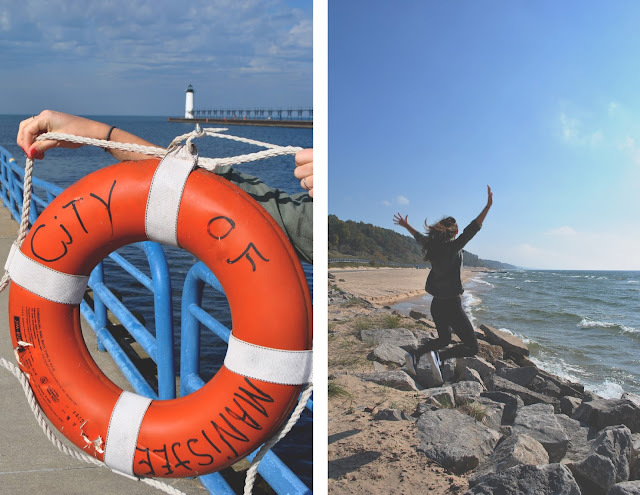 Our first stop along scenic route 31 was in Manistee where we got to see one of the many lighthouses that you can find along Michigan’s coast. We couldn’t have asked for a better day – blue skies and the temperatures around 65F/18C, a rarity in Northern Michigan in October. Continuing back home we stopped one more time in Muskegon for lunch. Much to our disappointment a lot of the restaurants were closed on Sundays and we ended up grabbing a quick bite at a Culver’s (my first time at the fast food chain, and it was quite good). I want to take advantage of living in the Midwest and see as much possible of this region of the US while I still live here. Traverse City had exceeded my expectations and I will always look back at our mini adventure happily. Is there any place you went to that exceeded your expectations? Amazing photos! I would just love to travel to cities like Michigan, Denver and Boston! Thank you! I hope you get a chance to go to those cities =o) I'm sure you would love exploring them! The autumn colors in Michigan were stunning! I was so glad we took the trip =o) Thanks for the sweet comment! Such a pretty city! Glad you to see you had a great and lovely time there! This place looks like a fairytale, how beautiful! Thank you so so much for sharing this beauty, so good to the eyes! Glad you enjoyed reading about Traverse City =o) Thanks for the sweet comment! Hey dear, i really like this post! This photos is very nice and beautiful, I like it! Also, It's very original! Big like for post, i follow you. Thank you for the sweet comment =o) I'm glad you like my photos and post! I have to several places that exceeded my expectations: Istanbul, Toronto, Varanasi, Edinburgh,... to name a few. Wish I could travel around the US for a year or two. There is just so much to see! I love how the colors just pop right out of your photos! Michigan sounds and looks really beautiful. the colours of the trees are so pretty! great photos! Spontaneous trips like this that don't involve much planning really are sometimes the best! Love all of these travel photos and I have never been to Michigan but Traverse City looks beautiful. The boardwalk area looks incredible! Oh thank you so much! Michigan was so picturesque! Sounds like a great trip! What a beautiful place and fall scenery! The food, the landscape, everything looks so cozy and welcoming!! I really hope to visit one day! Thanks for sharing dear! Hope you are having a great start to the week! The place seems to be really nice! Wow this is such a lovely post to read and so autumnal! It was a great fall trip to Michigan =o) Thanks for the sweet comment! Traverse City was so beautiful! Thanks for sharing the adorable pictures! Looks so dreamy, the perfect place to spend your autumn! Gosh this looks so cute!! I would love to drive around the US and explore some of the smaller towns. They are so different. This one is so authentic! 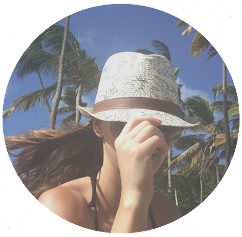 This is absolutely great post with beautiful pictures, I love your blog, thank you for sharing!!! Thank you! I'm so happy you like my blog and posts! The pictures that you have taken makes me want to visit this place so much. Thank you Fariha! Also thank you for recommending Traverse City, we loved it!